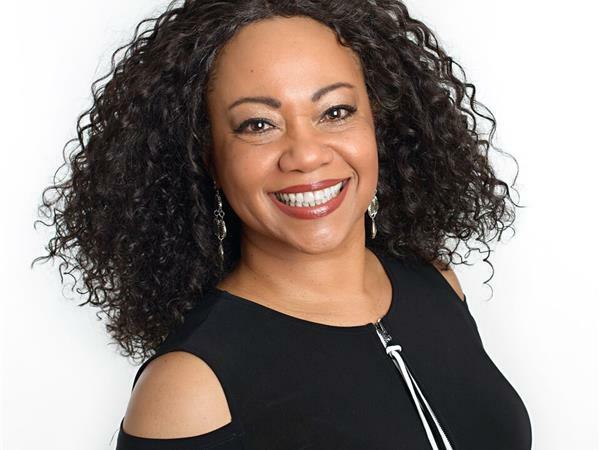 Jurema Silva – Outstanding Psychic in the U.S.
Come join us on the Pure Hope Show, Tuesday, May 29th at 7:00 p.m. central time. “Outstanding Psychic in the U.S.” Jurema Silva is a naturally gifted psychic/medium, spiritual counselor, inspirational speaker and guided energy healer practitioner. She grew up experiencing and learning a variety of ancient healing techniques in her native country, Brazil. Nearly thirty years ago, she brought to the U.S. her original spiritual abilities, resulting in a captivating and effective healing approach. 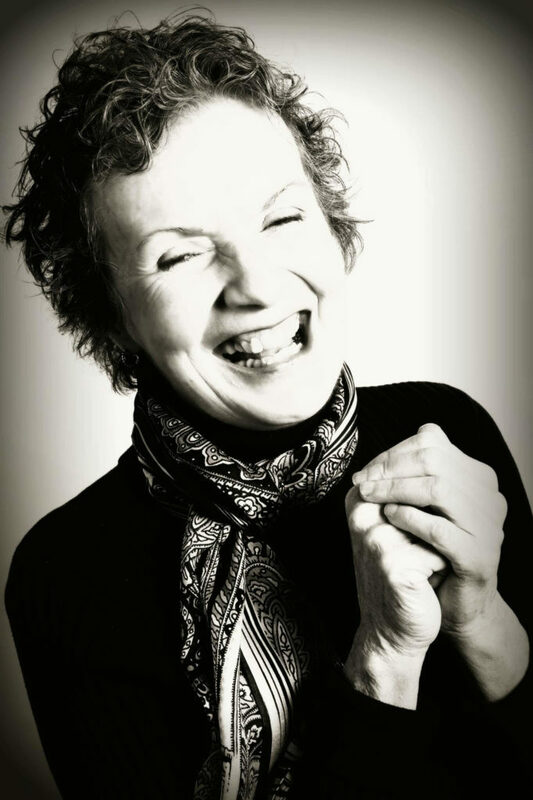 Her charisma and contagious energy make her one of the most outstanding psychics in the U.S. Jurema’s authenticity and remarkable education regarding the spiritual world has transformed the lives of thousands of people worldwide. Throughout decades as spiritual counselor, Jurema has witness her own clients unprecedented life transformations. Her remarkable spiritual presence, authentic and live personality make her lectures one of the most pleasant, contagious and most importantly, a collective healing event to enjoy. We will be on LIVE and you can be on our program by calling 213-559-2974 press the number one and our program director will have you on the air with us! I look forward to hearing your beloved voices! Join us for “The Pure Hope Show” on Tuesday, June 27 at 7:00 p.m. LIVE! Rev. 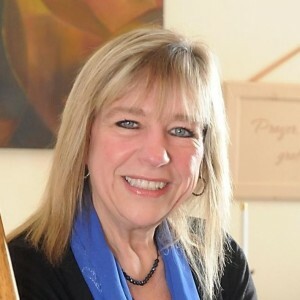 Janice Hope Gorman the founder of the Hope Interfaith Center and the founder of The Pure Hope Blog Talk Radio Show will be interviewed by Rev. Jill Grace. Hope is the name that the angels gave her which means “Help Open Planetary Eyes.” Rev. Gorman sustained third degree burns on April 15th of this year and is now back but not as a host on the Pure Hope Show, but as a guest. Why some people might ask? After surviving a harrowing fire mishap while lighting a Tiki lamp in her front yard, she is just beginning to learn what true metamorphosis is. She said it is to trust the unfoldment of this event in her life as well as watching the signs of her next steps upon the planet. She states that the word “Tiki” is significant as the Polynesian Culture describes the word as a noun – a carved image, as of a God or ancestor. In Polynesian mythology “Tiki” means the first man on Earth. The explosion was big enough to scorch the nearby grass and blacken the front of her home it also lit up Hope’s wisdom, which we are all eagerly anticipating to hear during this interview on the Pure Hope Show. You can call in to ask questions or make comments. 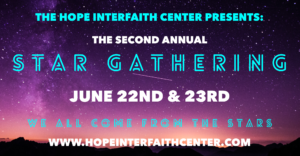 International Speaker, Author, and Death Educator, Stephen Garrett, of Vancouver Canada is coming to the Hope Interfaith Center June 8-10, 2017. You can find out more information about each of these events here – Stephen Garrett Events or call Jody at (507) 386-1242. We hope you will consider attending an event and meeting this remarkable teacher. It will be a life-changing experience! I am delighted to share a few personal comments with all of you who are my friends and clients and peers and helpers. I can testify to the many changes that have taken place in my life during this time of great change upon the planet. I continue to personally meditate, pray and contemplate my journey as a light worker, teacher and helper to all those who come to the Hope Interfaith Center. I now know that I am more dedicated than ever to providing a place that is a safe and holy and accepting of all. We at the Hope Interfaith Center wish to inspire and compel all to discover your true nature as pure awareness via using simple inquiry, by having personal insights, as well as offering wisdom teachings and a wide range of classes and events. Transcending Cultural and Social conditioning has been one of those bumps for me and many people. Few are those who ever challenge or outgrow the beliefs that have been instilled by family and society during those early years. And yet we must as we move into the “Golden Age” of a new family of ONE! We are seeing more and more people come to the center to explore the truth of who they are. They no longer feel inclined to stay put in the narrow ideas which they have received from many places. People now are realizing that their BEING is size-less and they are transcending the limitations of conditioning. I personally would like to remind you of the greatness of your Being. And when you know this you then will create a world of true happiness, joy, peace, light and justice for all. We welcome people from all faiths, and back grounds. You are my family! Let us join together in the Oneness and know that you are reading this with the power that is within you. If you are looking for something deeper than you have found so far look no more. If you are looking for a place of peace and safety from judgment look no more. If you are looking for inclusivity and love look no more! You have found it just by reading this! I look forward to seeing you soon and giving you a big hug and smile! Hope: With great respect and honor, I welcome your presence and assistance. Her Holiness: You have been preparing for this journey and you have done such a great job listening to us and doing your sacred contract. Now it is a time to rest. Your hard work and focus will come to fruition. Success for the Hope Interfaith Center and working with all of the people to wake up to the truth of who they are has been exciting to watch. Please tell them that this year will be one of hardship but yet, opportunities to move into the golden light. Hope: What do you mean? What golden light are you speaking about? Her Holiness: She once again pointed for me to come and she showed me a narrow stone-paved street, and she was waving me through a wood-en door and over the doorway it had the number 2017 on it! I passed through the door. I moved into a new space, which appeared dark inside, but now that I entered in it, there was a brilliant light, too bright to look at. Intense. I am now being touched by God I thought. I was very centered in my body; however, I had a feeling like I have never felt before. Her Holiness continued to usher me into the light. I had been standing before it, and now it is clear that I was directed to enter into it. There was a buzzing, a static, quite loud, like the sound between radio stations, and I heard someone speaking to me. I continued my inward movement into the light. I somehow moved so slowly that it felt like moving molasses. Her Holiness spoke and said you are holding back. You are resisting? This is the time of the number 10 vibration and you will begin the birthing of the awakened you. Please tell all beings that you will come in contact with at the Hope Interfaith Center that the vibration of 10 offers them a New Beginning, but they must step into the brilliant light, be still, and know that they are one with ALL THAT IS! Hope: What does that really mean? Many people do not understand these words nor do they believe in these words. Her Holiness: They must ask themselves what is holding them back? What fear? Why do they resist the very thing that they are so deserving of and which is who they really are? All that they desire personally as well as on your planet is dependent on their awakening. Her Holiness told me to receive and I will show you how it feels. Hope: I entered! I entered! And I entered! Now my cells are opening. Each one is a bursting supernova. I feel a oneness with the light, its brilliance spreading through me and outward, extending through my arms and my face. I am a conduit for the energy of God, a source of the radiance, a golden glow of brilliance, a beacon and a healer. I feel the radiance at my back coming up above my head, scouring those cells and making them shine. All over, I am covered with golden diamonds of light. Inside of me there is no darkness. I am told that inside all of you there is no darkness. Then I see us (yes all of you my friends of the Hope Interfaith Center) your cells are connecting to my cells and our cells connected to everyone in the world’s cells. We then connect our cells with the Ocean, Sky, Earth, Water, Fire, Animals. We are all a brilliant network of lights. Her Holiness: Her Holiness shows me all of us all rotating in many directions, including upside down. We are all a huge explosion of light, moving like a super-nova star system. All is golden and there are many golden eggs or sparks of light coming forth from all of us together. The golden strings of energy are weaving themselves through space as they travel outward. The ends of these strings are creating rainbows. She said we are the ones who have come to create peace, harmony, abundance, and joy upon this planet. And that we are not losers; we are winners. We are all great and mighty souls. She said to tell you all to continue to step forward into the light and do not, please, do not fear. Hope: As I continue this experience with Her Holiness, my body is now clear, completely trans-parent, and at one with all that is around me. I see who I really am. I see who we all are! I am crying with joy! And I ask Her Holiness, how can I help people know this about themselves? Her Holiness: She motions me through the same wooden doorway. I see a lot of small figures working on individual projects, something like Santa’s workshop. And each person is on their own station doing their own journey. Their own work! Their own experiences! Learning their own lessons! She told me all I can do is share this experience with any that would read it and if they wanted to walk through this doorway of 2017 without holding back, they too can see the truth of who they are. She told me to share this with you and invite you to come to our temple of Love and Light at the Hope Interfaith Center. Hope: I share this with you in great enthusiasm and share it with you with the intention of letting you know that your light inside is as brilliant as the stars, sun, and moon. And you have within you a great treasure map that will lead you to your purpose and your true destiny. Pay attention to the sign posts that will and always appear to us. Follow those signs and stay in the Zone of remembering the truth of who you are and all of your new beginnings of 2017 will come into fruition! May you all have a very Happy New Year! And show UP in your LIFE! Blog Talk Radio: Truth from Gigi and her Angels! 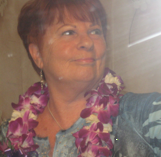 Gigi Petersen journeys with Angels, Spirit Guides, Saints, Love and Light Beings, Mother/Father God, Ancient Archangels and Loved Ones who have passed. She channels personal spiritual messages and brings forth details only known by you, you will know its truth. She imparts upon each person information from their own personal angels, guides, and spirits that are with us from the highest realm. She is able to see a movie and hear the words to share what spirit desires for you to receive for your highest good. This is a LIVE program and all you need to do to become part of the program in call this number 213-559-2974 and press the number one and we will get your questions answered. Gina Kanbalam Miranda is an expert on the Mayan Calendar, a 5,000 year old vehicle of predictions and spirituality. The Mayan Calendar is an ancient device filled with secret codes. Ancient Mayans were not only mystics, but they were scientists that delved into the origins of life. Gina is a scientist that studies and tracks the calendar to look for the secret codes within. Her blog explores and reveals the complexities hidden within the calendar! At the age of 11 it was revealed to her in her homeland of Honduras that her destiny was to learn and teach about this calendar. She now lives in Minnesota and is very willing to be interviewed on the Pure Hope Show. The show will air on Tuesday, August 30th at 7:00 p.m.
Echo has numerous books and her latest book is called “What Happens When We Die” now available at bookstores throughout the world, at Amazon.com and at NewWorldLibrary.com. Echo’s abilities began at the age of 17. Her abilities include clairvoyance (seeing), Clairsentience (hearing), Clairgustance (Smell). She is an amazing woman who is gracious, real and approachable. This is the reason why she is well liked and appreciated by many. She will be with us LIVE on Monday, September 26th at 7:00 p.m. If you would like to ask a question we welcome them all! Please call 1-213-559-2974 press the number one and our program director will help you get on the air with this internationally known Psychic! 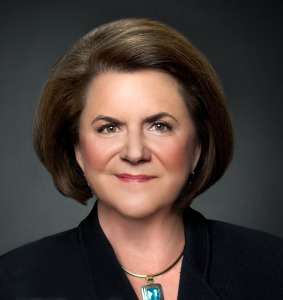 Pure Hope Show Tuesday, July 26 at 7:00 p.m.
Louise Griffith, MA,LP, is an internationally-recognized speaker, author, success coach, and psychologist. She is the founder of ONE SHINING LIGHT, an organization dedicated to inspiring and motivating individuals to build the best versions of themselves. Under Louise’s guidance, clients develop a better understanding of their life’s path and are given the tools to achieve personal success. Her new book, You Are Worth It is the topic that we will be talking about and she will help us explore the self-defeating behaviors that we might have that stops us from going for it. This recent published book, You Are Worth It: 52 weeks to Honoring, Loving and Nurturing Your Soul and accompanying journal are now in their second printing. Come join us LIVE on Tuesday, July 26th at 7:00 p.m. This LIVE show lets you, the listener, partake in the adventure. Just tune in and if you have a question or comments please call 213-559-2974 , press the number one and our program director will put you on the air! We are always excited to have you join us! Tell your friends and put it on your Facebook and let them know about this program that will move them into action.